Takata Corp., the Japanese air-bag maker at the center of a safety crisis, widened its annual loss forecast and warned it can’t estimate the full financial liability as regulators urge automakers to speed up recalls. The auto-parts maker expects a ¥25 billion ($218 million) loss this fiscal year, compared with its August forecast for a record ¥24 billion net loss, the Tokyo-based company said Thursday in a statement. 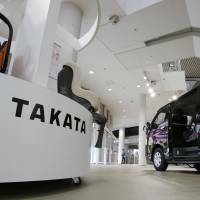 Takata also said it’s difficult to estimate the amount of damage claims it has received in the U.S.
Thursday’s statement marks a reversal for the company, which booked a ¥45 billion charge in the first quarter and said last month that additional costs related to recalls would be limited. 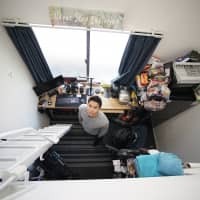 Hideyuki Matsumoto, a company spokesman, couldn’t immediately comment. The U.S. National Highway Traffic Safety Administration asked Takata and 10 automakers, including Honda Motor Co. and Toyota Motor Corp., to speed up repairs on recalled vehicles in humid areas amid concerns moisture is contributing to malfunctioning air bags. Takata air bags have been linked to at least four deaths and 139 injuries as they explode with too much force and shoot shrapnel at occupants, according to class-action lawsuits filed last month. The agency ordered Takata to answer questions and turn over materials that may explain what caused the recalls of millions of air bags. Takata must respond by Dec. 1 or face a $35 million fine, the NHTSA said. The agency is seeking information on quality control at a factory, the use of contaminated or improperly formulated propellant and a complete accounting of deaths and injuries. Takata’s stock price has declined 49 percent this year, compared with a gain of about 4 percent in Japan’s benchmark Topix index. The Center for Auto Safety, a Washington-based consumer advocacy group, sent the NHTSA a letter last week asking whether it’s been verified that Takata air bags used as replacements in recalls so far are safe. The group said one of the cars involved in a fatal crash in Orlando, Florida, should have been repaired under a 2011 recall. If that repair had been completed, the car would’ve had an air bag made in 2010 or 2011, according to the center. It isn’t known whether the car in the Orlando crash had been repaired under the recall. Takata told NHTSA it’s aware of some auto manufacturers seeking new air-bag suppliers, the regulator said after an Oct. 30 meeting in Washington. 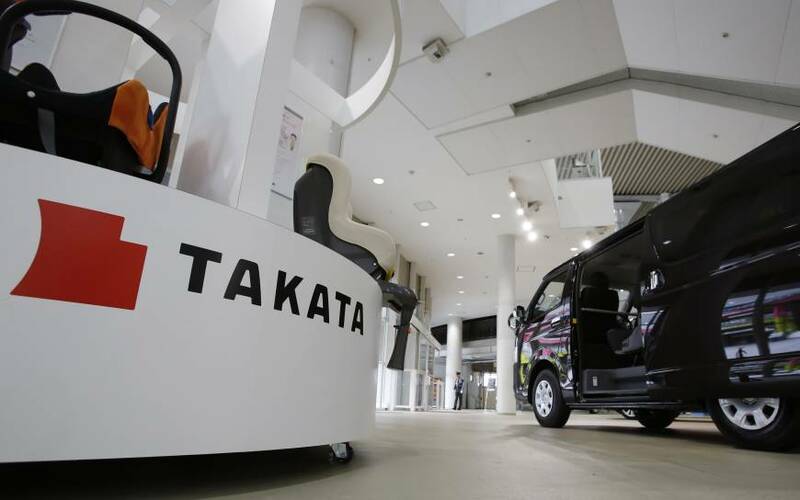 NHTSA said it’s evaluating Takata’s claims that quality issues could result from tapping other air-bag makers to help build the supply of replacement parts, including by discussing the potential risks with auto manufacturers and the suppliers. Daicel Corp., an Osaka-based supplier of inflators — the component at the root of deadly defects — hasn’t received orders for replacements of Takata’s products, Managing Executive Officer Masumi Fukuda said at a briefing. He declined to comment on Daicel’s production capacity and utilization rate for air-bag inflators. The market for air-bag inflators is likely to shift away from Takata to suppliers including Autoliv Inc. and Daicel. The two may control more than half the market by 2020 as Takata’s share shrinks, said Scott Upham, an analyst who has followed air bags since they were first installed in cars a quarter-century ago.